Welcome to Bourn Hall's Fertility Fayre! Bourn Hall is hosting its third annual Fertility Fayre on Saturday 3 November 2018 at the historic clinic in Bourn just outside of Cambridge, to coincide with this year’s national Fertility Week. The objective of the Fertility Fayre is to enable you to get all the information you need to give you the best chance of getting pregnant. A wide range of stalls, with experts on hand, will be there all under one roof. 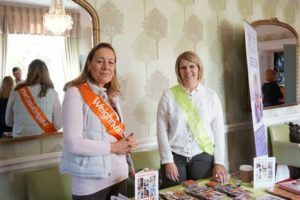 People attending the Fertility Fayre will have the opportunity to meet a number of independent practitioners offering complementary therapies and organisations which can help with making lifestyle changes such as with nutrition and losing weight. There will also be representatives of our fertility support group and information on alternative ways of funding any treatment you might need. In addition our own Bourn Hall experts will be on hand to explain about the common causes of infertility and what fertility health and wellbeing tests can tell you about your reproductive health and what you next steps might be. For most couples there are a number of practical steps which can be taken to improve the chances of getting pregnant naturally and only a very small percentage of people need to have fertility treatment or IVF. However getting good advice is essential. 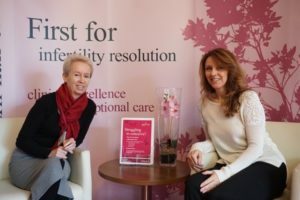 After the Fertility Fayre you might feel that you would benefit from a free personalised fertility consultation with a Fertility Nurse Specialist or a special half-price Fertility Health + Welbeing suite of tests. Details of these will be available at the fayre and on our website. 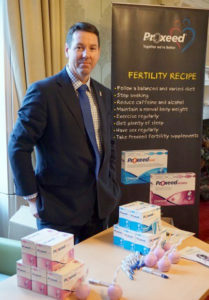 The event follows on from Bourn Hall’s previous two Fertility Fayres which both received very positive feedback. 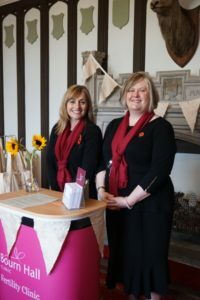 Visitors reported that they appreciated the relaxed and informal atmosphere which allowed them the opportunity to spend time talking to a range of health support groups, therapists and fertility experts all under one roof. The event is entirely free of charge and will run from 10am to 2pm at Bourn Hall Clinic, Bourn CB23 2TN. There is plenty of free parking on site. Bourn Hall is offering attendees half price Fertility Health +Wellbeing checks – these include a suite of tests and a consultation with a fertility specialist doctor that can provide information about reasons for infertility within a few weeks. More information about this special offer can be found on our blog. For a short time we are offering free personal consultations with a fertility nurse specialist. Our blog on female infertility outlines the main causes – read more here. Men who are concerned about their fertility can read our male infertility FAQ here. Take a look at what people said about our first Fertility Fayre here.